Machynlleth is a market town to the south of Tywyn that has special significance in the history of Wales because of its connection with Owain Glyndŵr. Owain led the campaign for Welsh independence between 1400 and 1415 and Machynlleth is the site for the first Welsh Parliament held in 1404. This Parliament was held in the Parliament buildings which are still open to the public today. The earliest written reference to Machynlleth relates to a Royal charter granted by Edward I to Owen de la Pole, Lord of Powys, in 1291, giving him the right to hold “a market at Machynlleth every Wednesday for ever and two fairs every year”. 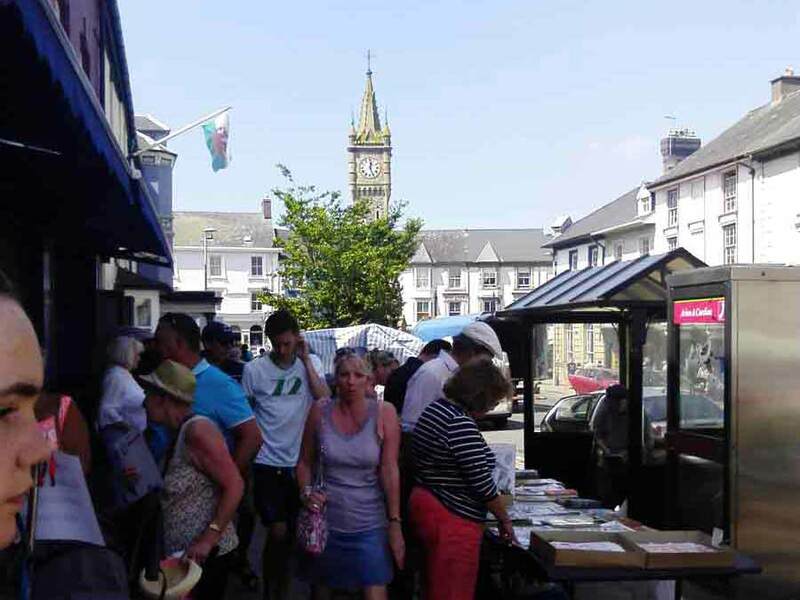 This Wednesday market is still a busy and popular day in Machynlleth 700 years later. Machynlleth Comedy Festival held Friday 1 May – Sunday 3 May 2015. The festival dominates the town for a weekend, with events running over three days in nine venues. 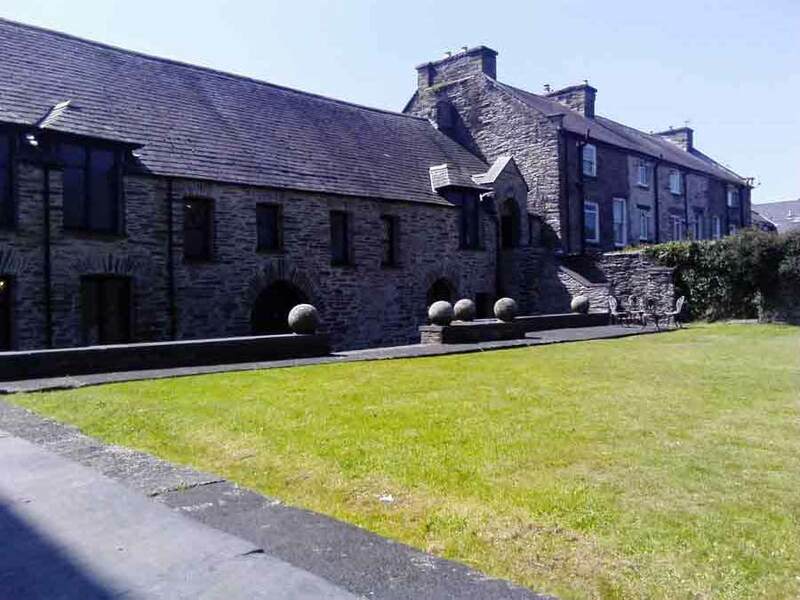 Wales Museum of Modern Art holds the Tabernacle Collection which contains more than 250 works of art created since 1900 with the emphasis on artists living in Wales. The Museum also hosts a number of festivals throughout the year. Why not plan your visit around the Machynlleth Festival, a week long extravaganza of music making, concerts, talks, interviews and masterclasses? 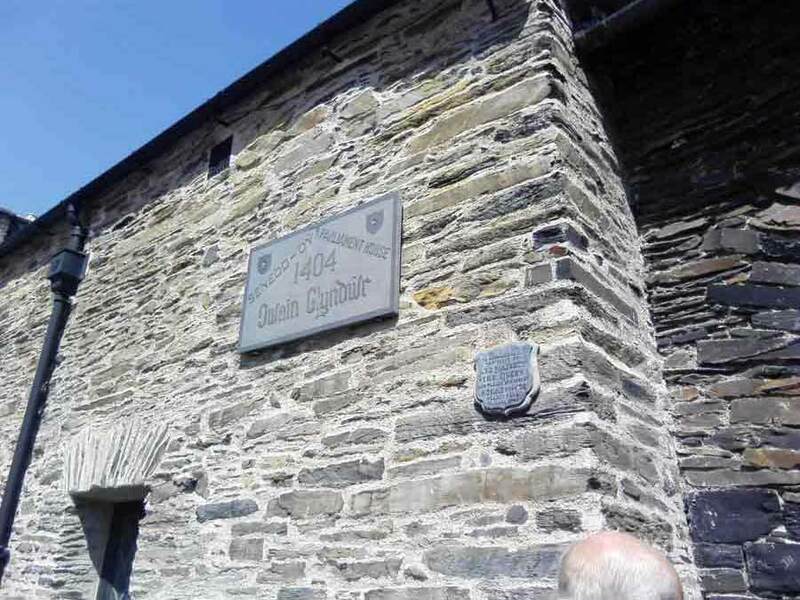 Owain Glyndŵr Centre is built on the site of the famous parliament building where Owain was crowned Prince of Wales, hosts an interactive exhibition on the life, times and vision of Owain Glyndŵr. Owain studied law in London and served as a soldier for Richard II in the King’s campaigns in Scotland and France. In order to consolidate his hold over his Kingdom, Richard spent much of the last decade of the 14th century moving his power base from the southeast and London to the County of Cheshire and nearby Wales. In so doing, he took the lands of his rivals and gave it to his favourites – many of these were Welsh. However, in 1399 the exiled Henry Bolingbroke, heir to the Duchy of Lancaster, returned to reclaim his lands and raised an army against the King. Both met at Conwy Castle to reach a settlement. This did not end well for Richard who was arrested and subsequently deposed whereupon Henry Bolingbroke was proclaimed King Henry IV by the English Parliament. This unseating of Richard led to an unsettling period for the Welsh who had traditionally supported Richard and his father Edward and had a marked impact on the fortunes of Owain Glyndŵr. There was a long-standing land dispute between Owain and his English neighbour, the Baron Grey de Ruthyn of Dyffryn Clwyd. In 1399, Owain applied to Parliament to resolve the issue and, under King Richard, they found in his favour. However, with the resultant change of Kingship, de Grey – a friend of the new King – used his influence to revoke the ruling. Unfortunately for Owain, it did not end there as a great deal of enmity had clearly built up between Owain and de Grey as the later deliberately withheld a Royal summons for Owain to join the King’s Scottish campaign. Owain’s unwitting failure to respond to the summons was itself an act of treason and King Henry declared Owain a traitor, his lands forfeit. Owain had two choices: flight or revolt. On 16th September 1400, Owain chose revolt and was declared Prince Of Wales by his followers. The uprising gained momentum and followers and quickly spread throughout Wales and after a series of significant victories over the English, the first Welsh parliament was established in Machynlleth in 1404. The rebellion flourished and it was not until Charles VI of France withdrew his support in 1406 that the first cracks appeared. Welsh resistance continued for the next four years until Owain readied his forces for one last raid deep into Shropshire. The battle did not go well for Owain and in defeat he fled although he continued to be active as a guerilla leader. In 1413 Henry IV died and his son, Henry V, attempted to appease the Welsh by issuing Royal Pardons for leading members of the rebellion. The uprising eventually flickered out in 1421 when Maredudd ab Owain Glyndŵr, Owain’s son, accepted a Royal Pardon. There is little record of Owain after 1415 although it is believed that he went into hiding, whereabouts unknown. 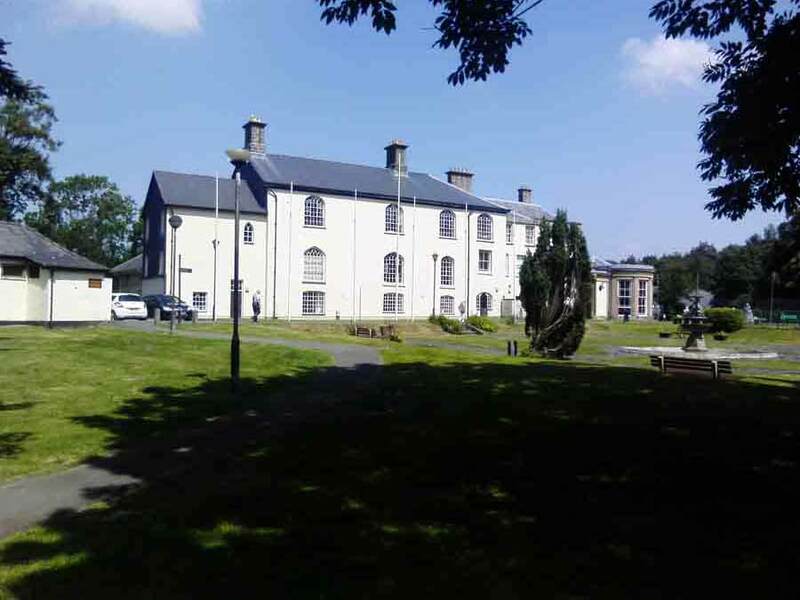 Plas Machynlleth was the Welsh residence of the Marquesses of Londonderry who gifted the building to the town. The building was used for council offices for many years and is now used a community and meetings venue. The oldest parts of the house date back to the 17th century; the main entrance front was added in 1853. 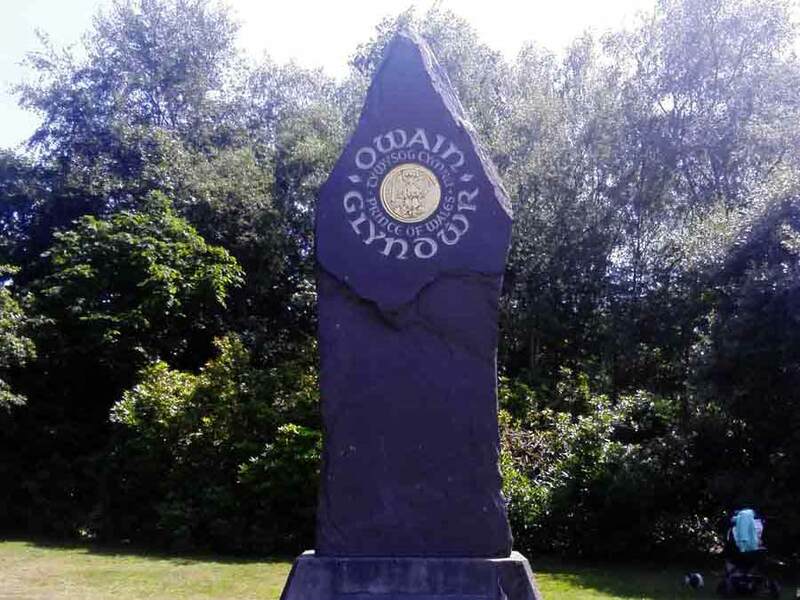 In the grounds of Plas Machynlleth is a memorial to Owain Glyndwr which was commissioned on the 600th anniversary of his bid for Welsh independence. 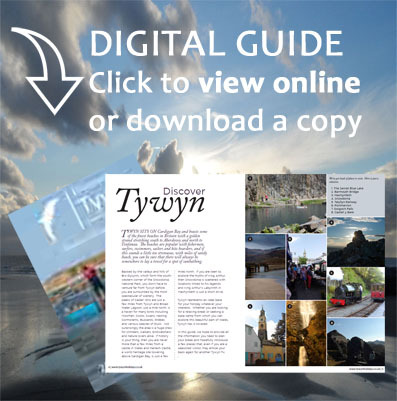 This entry was posted in Activities and Attractions, Culture, History, Snowdonia by train, Towns and Villages and tagged Machynlleth, Owain Glyndŵr, Snowdonia by Train on 25 September, 2014 by Paula.